With a European spa and elegant casino, this Mediterranean-inspired resort sits on 8 manicured acres, 8 miles from the bustle of the Las Vegas Strip. 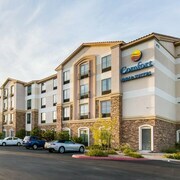 This suburban Las Vegas hotel occupies 100 acres in Henderson, across from the Galleria Mall; the Strip and airport are less than 8 miles away. The property is very conveniently located to Sunset Station and all the restaurants on Stephanie Street. Where to find Henderson hotels near an airport? How can I find hotels in different Henderson neighborhoods? 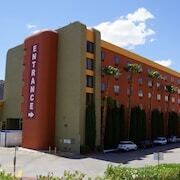 Where can I find hotels in Henderson that are near tourist attractions? The bustling expanse of Las Vegas doesn’t end with its famous casinos. Situated just a stone’s throw from the center of town, Henderson adds a second dimension to the region’s neon-lined charms: a place where families, business travelers, and couples alike can bask in the area’s beauty without staying in the heart of Lady Luck’s action. 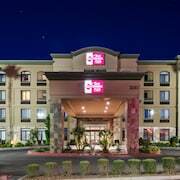 Though the best Henderson, Nevada hotels bring an element of excitement to every guest room and upscale amenity, they also provide a respite from the all-hours thrall, and travelers on a budget often find the deals and discount prices are tough to beat. Ready to explore the options? Let Expedia lead the way. The best Henderson vacations begin with the most unforgettable Henderson hotels, and you should start your search by considering what you’d like to do while you’re in the area. If you’re planning an outdoor adventure, book a room at one of the Henderson, NV hotels near the Bird Viewing Preserve or Botanical Cactus Garden. These picturesque hot spots are ideal for nature lovers, and they’re fantastic ways to kick off a vacation of hiking and biking through the surrounding wonders. Prefer something a touch more luxurious? Take a look at the four- and five-star spots dotted throughout town. You’ll have access to colorful casinos, relaxing spas, and impeccable restaurants, and you can easily hop over to the nearby golf courses for an afternoon on the green. Plus, these Henderson, Las Vegas hotels aren’t far from the sizzling nightlife, so you’ll be able to spend some responsible quality time at the most famous blackjack tables. Can’t wait to start planning? Expedia offers everything you need. Simply tell us when you’d like to travel, and we’ll give you a list of flights, packages, and car rentals in Henderson. We’ll even help you track down just-for-you essentials like fascinating local tours, pet friendly hotels Henderson, NV and inexpensive attraction tickets. It’s a great way to make the planning process a breeze. 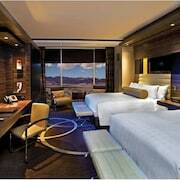 What are the most popular Henderson hotels? 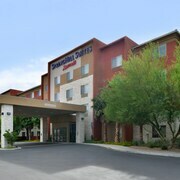 Are there hotels in other cities near Henderson? 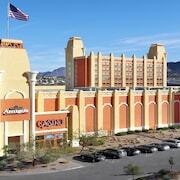 What other types of accommodations are available in Henderson? Explore Henderson with Expedia.ca’s Travel Guides to find the best flights, cars, holiday packages and more!